An EBF Maiden Stakes over 5f. Seven juveniles take part: five colts & two fillies, including three form horses who have shown promise. This is one of the better two-year-old maidens of the season and I'm sure a handful of trainers hoped this would be easy prey. 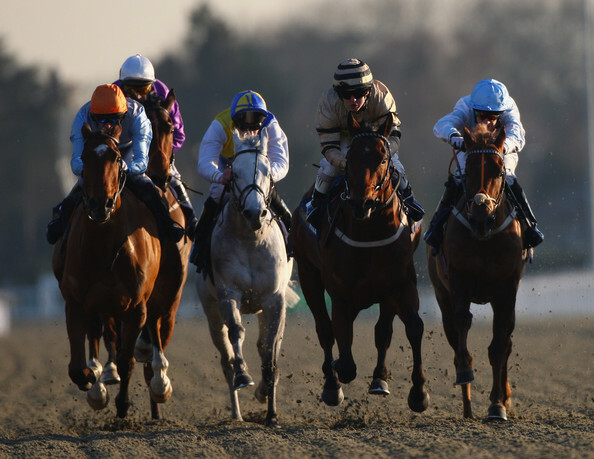 David Evans has been in fine form with his juveniles and Smugglers Gold's win at Lingfield [Friday] would have given the stable plenty of confidence. I have little doubt that Vodka Time is one of the stable's better juveniles. This bay son of Indian Haven was a 20,000euro purchase. Evans knows his horses and it could well be telling that they kept this youngster in their ownership. He was fancied to run a big race when competing in the Brocklesby on the first day of the Flat turf season. Mick's Yer Man, who won that race in style, has since made it two successes from two. In truth, a couple of other runners have not franked the form. However, they were so far behind they cannot be considered a fair measure. Physically, Vodka Time is a compact horse, balanced, and professional. He ran a sterling race, especially from a wide draw. Adam Kirby wasn't hard on him when Turner's winners sprouted wings. That was a sterling effort and a bold show should be expected. That said, this could well be a tough race and there will be opposition. Dovil's Duel finished fifth in the Brocklesby, a good few lengths behind the above mentioned. This son of Clodovil was a cheap yearling purchase at £5,000 but started favourite that day. This was Rod Millman's first Brocklesby runner since Phantom Whisper won the contest in 2005. There was a fair word for this April foal and I am convinced the stable expected more. He showed good pace before being outpaced in the final two furlongs. The stable often struggle to win on debut so it could well be prudent to give him a second chance. This yard have the knack of winning second time out and if their juveniles have ability this is the day they shine. I was lucky enough to have a chat with James Millman on Twitter and he said they have a good string of two-year-olds and the recent debut victory of Master Carpenter adds to those thoughts. On balance, most form readers will consider this bay colt has no chance against Vodka Time. However, his re-opposing could magnify his starting odds. It wouldn't surprise me to see a much-improved performance today and if you want a speculative punt this could go well. It will be interesting to see how Richard Fahey's juveniles go this year because he has been quoted as saying they have bought a different type of horse, which often means they are more three-year-old types. Kevin Ryan had a similar transition, a few years back, which proved disappointing. Skye's The Limit, a son of Pastoral Pursuits, cost 32,000gns and definitely a two-year-old in the making. This youngster jumped in the deep end when competing at Stakes class on debut, when second to Brocklesby victor Mick's Yer Man. Make no mistake, that was a noteworthy performance. He was a tad slow from the stall but threw down a challenge in the final two furlongs. Once Turner's talent was pushed out, Skye's The Limit was eased in the final furlong. I like the look of this colt. He is a determined sort, professional, with a fluent stride. It will take a fair juvenile to beat him today. The debutantes hail from influential two-year-old stables. However, they will have to be primed to win at the first time of asking. In addition, turning courses are much more difficult to win on debut and reason why experience is a big advantage. It's good to see Mrs Fitri Hay having two-year-olds in training with Paul Cole after their falling out. Meritocracy cost 40,000gns at the yearling sales - which is pocket money for this owner. Cole has commented that their juveniles have just started galloping on grass and going well. The betting is the best guide for this early [January] foal, a son of Kheleyf. If priced 8/1 & less he would have fair win and place claims. However, he is weak on the exchanges [Friday]. The betting is key. Montaigne is the first runner for Ralph Beckett who is a horse trainer I respect with his debutantes. This home bred is well related being a half-brother to Pabusar and half-sister to Fillionaire. Both competed at Group class. The mare won on debut when trained by Michael Jarvis, with narrow losses at Pattern grade. The stable have a good strike rate at this course and I can see this January foal winning this season. The type to go well on debut but it will take a smart horse to win on its racecourse bow. The other filly is Rough Courte. This 15,000gns yearling purchase is trained by Mick Channon. This daughter of Clodovil is clearly ready to run with a number of engagements but a recent Selling entry doesn't inspire confidence and unless this is a red herring I would expect her to be outclassed. Conclusion: This looks a competitive heat and one of the best maidens seen this season. The form horses set a decent standard and it would take a pretty smart debutante to lower their colours. It isn't beyond the realms but it would dampen my spirits. Fig Roll & Montaigne look to be the better debutantes. However, I would stick with the three raced. It is a tough call to pick between them although most people will ignore Dovil's Duel after his loss to Vodka Time. He may well be put in his place but Millman's juveniles can improve markedly on their second start so don't be surprised if he runs well. Vodka Time & Skye's The Limit will be winning this campaign and look natural two-year-olds. Both caught the eye on debut and it could be a battle. At the prices, I would rather take a watching brief and enjoy the contest. If Dovil's Duel drifted to huge odds he may be worth a speculative punt.